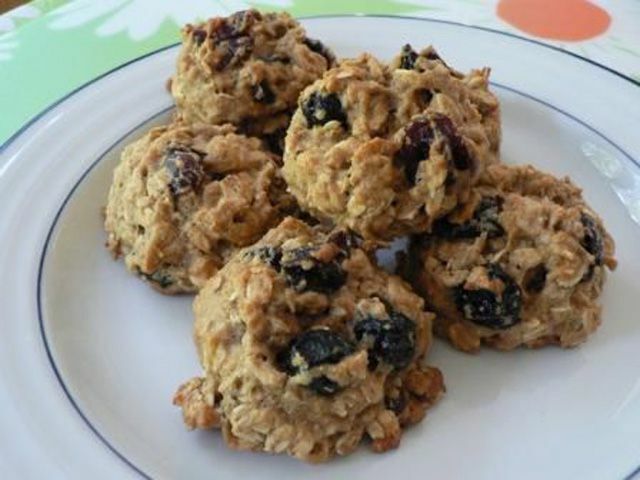 A cross between a cookie and a muffin, these wholesome little bites make a great breakfast on the go. Pack two of these with a piece of fruit and a low-fat yogurt, and this should see you through until lunch time. In a large bowl, combine flour, oats, baking powder, baking soda, salt and sugar. Add egg whites, oil, mashed banana and vanilla. Mix well with a wooden spoon. Drop by tablespoon full on to baking sheet lined with parchment or silicone mat. Bake for 12 minutes or until lightly golden.